Posted on October 12, 2018 in Press Release. 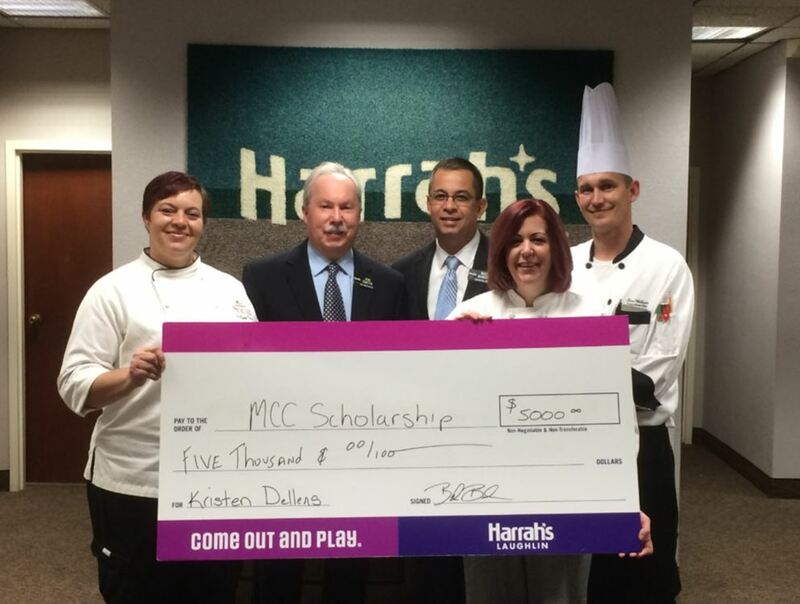 MCC Culinary Student Kristen Delles receives her $5,000 Harrah’s Laughlin scholarship check! So great to have a corporate partner like Harrah’s helping our community. The MCC Culinary program has had many successful graduates, including Harrah’s own Executive Chef Ron Williams and Range Chef Erik Martinez Ochoa.